Understanding the intersection of business, government, public opinion and the media drives every strategy. 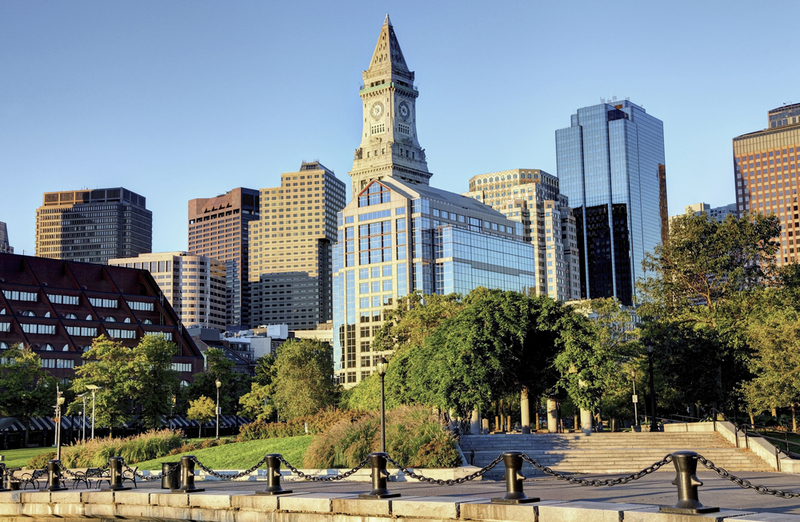 Our long-standing relationships with and knowledge of the business, civic and political decision-makers are brought to the table to assist our clients as they grow their businesses and brands in Massachusetts. We are a boutique consulting firm specializing in public affairs and marketing communications. We understand how Massachusetts works, and we know Boston and how it breathes. We live here and we work here, from South Boston to Worcester. Because we have run events and run for office, we know how to get things done. We represent some of the state's most innovative CEOs and owners, as well as nationally recognized companies, helping them to position themselves in leadership roles in Massachusetts. Our firm represents owners of significant real estate and retail assets, regional transportation systems, place-makers who provide destinations, & innovative social action companies who are leading the way in the environment, media, life sciences and health care. Pamela McDermott established McDermott Ventures as a small, boutique business consulting firm 18 years ago, after serving as President of her previous public affairs firm, McDermott, O’Neill & Associates. Today, under her leadership, McDermott Ventures is proud to represent some of the most innovative CEOs and owners in the state, as well as nationally-recognized companies, working to bring their projects, ideas and initiatives to realization. Pam combines her understanding of public policy issues that she learned running for political office and serving both Mayors and Governors in policy positions, with over 30 years of communications consulting, to provide clients with strategies where business and politics interconnect. Her entrepreneurial spirit and commitment to service in the community resulted in volunteer positions with a number of non-profit and higher educational positions. She serves on the Board of the University of Vermont Foundation and served on the Board of Trustees, and also on Harvard University’s Taubman Center Board of Advisors, and City-To-City. Recognized for her entrepreneurial track record, she was named a recipient of the Greater Boston Chamber of Commerce’s Pinnacle Award in Entrepreneurship and the New England Council’s Leadership Award to Women in Business, in addition to serving as a Delegate to the White House Conference on Small Business. Her experience in real estate resulted in receiving the Women of Finance, Investment and Real Estate from Banker and Tradesman, the real estate and finance publication of the Northeast, and serving two terms as President of New England Women in Real Estate (NEWIRE). Carolyn Spicer has been with McDermott Ventures since its inception in 1997 when the company started with a handful of clients at offices on Congress Street. Carolyn joined Pamela in her venture to provide strategic communications services to innovative companies around the state as well as real estate developers and municipalities. Carolyn has worked with real estate clients to permit over 15 million square feet of mixed-use projects including Fan Pier, Atlantic Wharf, and The Clarendon, and currently works with The Chiofaro Company on the redevelopment of Boston’s Harbor Garage, the CSX Corporation on Beacon Park, The Peebles Corporation and Ashkenazy’s Faneuil Hall Marketplace, to name a few. Carolyn is a native of Massachusetts and has spent the last 20 years living in downtown Boston, and over the last 15 in the Fort Point Channel neighborhood. Named as one of “Banker and Tradesman’s New Leaders”, she is also a former Board member for Heading Home, on the Board of Directors for Boston Architectural College, a graduate of the Emerging Leaders Program at the University of Massachusetts Center for Collaborative Leadership, and has also served on the Board of Save the Harbor/Save the Bay and the New England Baptist Building and Grounds Committee and Board of Visitors. Following an internship after graduation from the University of Vermont, Maggie joined McDermott Ventures as Account Executive in 2013, and has since been made Director of Communications at the firm. An English Literature and Film + Television Studies Major, Maggie works with clients in the areas of public relations and community outreach, as well as manages the social media platforms for McDermott Ventures clients. In the two years since Maggie joined the firm, she has assisted with several high profile events including 2013 Mayoral Forums co-sponsored by Mass Inc., The Artery Business Committee and the Boston Municipal Research Bureau. Through media relations, place making, and strategic partnerships, Maggie has helped establish brands + reposition large commercial real estate assets, such as the Innovation and Design Building in Boston’s Marine Industrial Park. She has also participated and led her generation on grassroots efforts for the Harbor Garage project on Boston's waterfront. Maggie is a member of CREW Boston, ArtWeek Boston's Cultural Tourism Task Force, the University of Vermont Alumni Association, and participates in various Young Professional events for real estate and technology regularly. Kristen Scanlon of Scanlon Law, LLC is an attorney specializing in food and alcoholic beverages licensing, permitting, zoning, and real estate development consulting. In the Greater Boston area and throughout the Commonwealth of Massachusetts, she guides clients through the entire licensing and permitting process, including navigation of the community outreach and government relations process, lease and asset purchase negotiations, completion of the liquor license application and zoning appeals processes, and successful representation of businesses (restaurants, bars, hotels, package stores, etc.) before municipal and state Boards for both transactional and disciplinary proceedings. Kristen is admitted to practice in the Commonwealth of Massachusetts, the State of New York and the United States District Court for the District of Massachusetts. She received her J.D. from New England School of Law, where she was a member of the Moot Court team and a recipient of the Cali Award for Excellence in Trial Practice. Kristen is also the co-founder of Pilates with Purpose, Inc., a non-profit organization established in 2014, which organizes monthly events for professional women in Boston to learn how to stay fit, build their professional and support networks, and raise money for local charities supporting women, families and children throughout the Boston-metro area. She is a board member of The Jett Foundation, and has worked extensively with other non-profits including Tailored for Education and Dress for Success Boston. Kristen holds a BA and an honorary Doctorate from Framingham State University. She is married with two children and lives in the Greater Boston area. BOSTON, MA—November 15, 2017-In 1997 Pam McDermott opened the doors of McDermott Ventures with her ‘rolodex’ of contacts and two start-up companies already on her resume. Twenty years later, the McDermott team is thriving and expanding as it celebrates its 20th anniversary year. McDermott has partnered with hundreds of clients, permitting over 20 million square feet of development in its real estate practice, while also assisting new and innovative companies and individuals with all aspects of their communications and public affairs. Having spent 20 years collaborating with clients, the team is finally taking time to to share their own milestones and announce a new President and Director of Communications, and expanded real estate offerings for the industry. “McDermott Ventures is a boutique firm - our clients know that when they hire us they get our individual attention. We frame complex issues against our 20 years of experience and local political knowledge to provide recommendations aimed at moving projects forward. Our company is also made up of three generations who live in the city, an important asset when you need to communicate to various audiences using digital and traditional communications.”, said Pam McDermott, Chairman and CEO. Carolyn Spicer opened the doors of McDermott Ventures with Pam McDermott in 1997, and has now accepted the role of President, spearheading the expansion of the firm’s real estate practice. Carolyn spent the last 20 years managing client services and operations at McDermott Ventures, and is known for her commitment to helping clients achieve success. Carolyn has served on the Board of Directors of Heading Home, Save the Harbor/Save the Bay, and The Boston Architectural College. She was named a Future Leader by ‘Banker and Tradesman’ and participated in the Emerging Leaders Program at the Center for Collaborative Leadership at the University of Massachusetts Boston. Carolyn is a native of Massachusetts, has lived in the city for over 20 years and resides in the Fort Point/South Boston neighborhood with her husband, and now her son Charlie. Maggie Dow has been promoted to Director of Communications and Digital Content at McDermott Ventures. She joined the firm 4 years ago, after connecting with Pam over their shared alma mater, the University of Vermont. Since day one, Maggie was an integral part of the McDermott Ventures team. Maggie has managed all media relations and has expanded into digital communications and social media offerings for the firm’s clients. She is a native of Massachusetts and is currently a resident of South Boston, and participates in a variety of city civic initiatives and events. · Placemaking, Deb Byrnes, Retail Resource Inc.
© 2015 McDermott Ventures. All rights reserved.